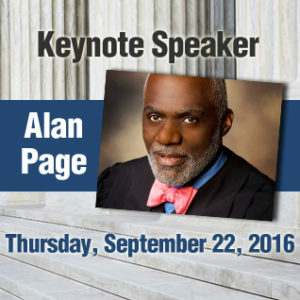 The 2016 Siouxland Chamber of Commerce Annual Dinner will feature former Minnesota State Supreme Court Justice and NFL Hall of Fame inductee Alan Page as its guest speaker. Perhaps best known for his outstanding performance on the gridiron, Alan Page’s life is a story of remarkable personal and professional achievement. Mr. Page grew up in the shadow of the National Football Hall of Fame in Canton, Ohio, graduating from Canton Central Catholic High School in 1963. He attended the University of Notre Dame, leading the football team to a national championship in 1966 and earning a B.A. in political science in 1967. Page was selected by the Minnesota Vikings in the first round of the NFL draft and played in all four of the Vikings’ Super Bowl appearances. In 1971, he was recognized as the NFL’s Most Valuable Player, the first defensive player to earn that distinction. During his career, Page played in 218 consecutive games, earning All-Pro honors six times and was voted to nine consecutive Pro Bowls. earning a Juris Doctor degree in 1978. After leaving professional football, he served as an attorney in both private practice and at the Attorney General’s office. In 1992, he was elected to serve as a Justice on the Minnesota State Supreme Court, becoming the first African-American to serve on that Court. 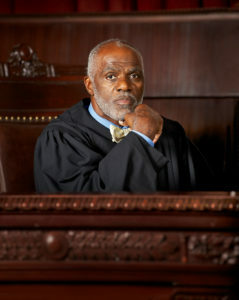 Justice Page was reelected to the Court in 1998, 2004, and 2010. He served on the High Court until he reached the mandatory retirement age of 70 in 2015. Alan Page was inducted into the Pro Football Hall of Fame in 1988 and the College Football Hall of Fame in 1993. Today, Justice Page is an ardent supporter of educational excellence for all children. In 1988, he and his wife, Diane, established the Page Education Foundation which assists students of color with post secondary education. To date, the foundation has awarded over $12 million in scholarships to more than 6,000 deserving students. The Annual Dinner is scheduled for Thursday, September 22, 2016 and will begin with a Social Hour at 5:30 PM, Dinner at 7:00 PM, and a Program with Keynote Presentation at approximately 8:00 PM. For more information or to reserve your seat click here. Before August 6, 2015, the nation’s first Treasury Secretary was rarely discussed outside of history buff circles. It was on that day, however, that Lin-Manuel Miranda’s Hamilton premiered and soon took the nation by storm. 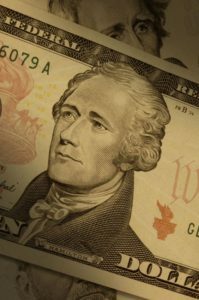 After taking home a record-breaking 16 Tony nominations and millions in ticket sales, the smash Broadway musical highlighting the life of Alexander Hamilton did more than entertain; it also provided lessons to business owners. Here, courtesy of Hamilton, are five lessons to help you overcome the odds to sell your business for top dollar. It took producer, composer, and star Lin-Manuel Miranda six years to write Hamilton. Miranda wanted to ensure the musical was perfect before it came out and that he had cultivated the production to be of the most value it could be. When Miranda started working on Hamilton, he was just coming down from his incredibly successful production of In the Heights. Instead of using his momentum his previous show had produced, Miranda spent those six years researching, thinking, and writing. On writing, Miranda stated: “Anytime you write something, you go through so many phases. You go through the ‘I’m a Fraud’ phase. You go through the ‘I’ll Never Finish’ phase. And every once in a while you think, ‘What if I actually have created what I set out to create, and it’s received as such?’” Similarly, selling a business takes time. Curtis Kroeker, general manager for BizBuySell.com and BizQuest.com, recommends a minimum of two years of preparation before putting your business on the market. You should give yourself enough time to produce at least three years of accurate tax returns that are able to show your profitability. Gathering all relevant financials is not something that can happen overnight. In this time, you can prepare a multitude of other things in order to reach the best selling price. Ask whose services you would like to enlist to help you through the sales process: an accountant, an appraiser, an attorney? Evaluate your needs and research your options. Do not settle on the first team that shows up online. Take your time; it is worth it! At the end of the musical, the entire cast comes together to bring finality to Hamilton’s life. George Washington reminds the audience that their remembrance is out of their control. Eliza, Hamilton’s wife, bemoans to the audience how she will spend the next 50 years trying to restore her husband’s image and frets that she has not done enough. As she dies, Hamilton shows her all those who will care for and protect her legacy as she did for him. The ending of Hamilton provides a valuable lesson to business owners. Selling at the wrong time can damage your legacy and force a sour ending. Selling a business for top dollar can force you to do something uncomfortable: exit on a high note. It does not sound challenging, but one of the biggest reasons business owners receive low offers for their business is this: the best time for you to sell your business — when sales and profitability are at an all-time high — also happens to be the time when you are least likely to part with it. Yet buyers will only pay for what a business is worth. If you wait until your business is declining to sell it, you will not be in high demand. Like Hamilton, preserve your legacy by ending at the right time. Not every musical is a success, just as not every business sale succeeds. Miranda’s Hamilton succeeded because it presented the Founding Fathers in a way audiences had never seen—hip-hop, high stakes, and compelling character portrayals. Miranda was passionate about his vision, and it paid off. Creativity and passion are just as important in marketing a business as they are in theatre. When selling your business, you need to show how your buyers will be deeply and positively affected by owning your business. Before putting your business on the market, evaluate how your business does against competitors. Hamilton was not the first hip-hop musical and it certainly will not be the last, but it had factors that made it distinguishable from every other musical that had previously made the endeavor. What does your business have that makes you unique and valuable? Develop and market this point. When it comes to selling a business, there is perhaps nothing more important than fighting off risk and defusing bombs before they explode. Alexander Hamilton was engaged in a marital affair with a woman named Maria Reynolds. Hamilton, knowing that the truth is the only way out, publicly writes “The Reynolds Pamphlets” to confess to the affair, hoping to save his political legacy. The emotional scenes in Hamilton perfectly encapsulate someone who knew how to mitigate risk. As a business owner hoping to sell in the near future, you should begin assessing your risk factors. Know the trends that are affecting your industry and plan for disruptors. Honestly evaluate your financial records and clear up any red flags. Touch base with your customers to ensure that your relationships with them will be a selling point and not damaging. By minimizing risk, you will receive a higher offer on your business. In Hamilton, Hamilton delivers impassioned lines about decreasing dependency on government, reiterated in his Federalist papers: “The powers delegated by the proposed Constitution to the federal government are few and defined.” Hamilton feared the American people’s dependency on federal government. Business owners can take note. If your business relies on your personal talent or expertise, you will not receive high bids when you choose to sell it. Ensure that your operations are managed by staff or technology systems. With less day-to-day dependency on the owner of the business, a higher selling price is reached. A company that relies fully on the departing owner will be worthless when the owner parts ways. If you are looking to sell your business for top dollar, you face the same challenge Miranda did: branding yourself above competition. With these lessons, you will be on the fast track to high sales as well. Your business, too, will end on a high note. For more information, contact the Goosmann Law Firm at (712) 226-4000 or email them through their website goosmannlaw.com. You can also visit one of their four convenient locations in Sioux City, Iowa; Spencer, Iowa; Sioux Falls, South Dakota; and Dakota Dunes, South Dakota. 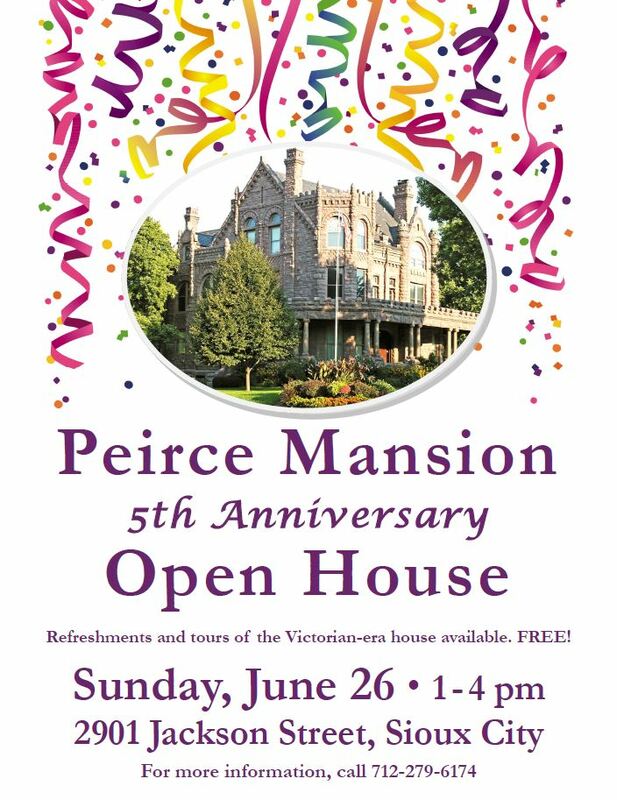 Sunday, June 26 from 1 to 4 p.m. at the Peirce Mansion, 2901 Jackson Street. The free event will feature refreshments and tours of the Victorian-era house. The event will also serve as a “thank you” to Missouri River Historical Development for their $9,500 grant donation for upgrades to the electrical system at the mansion. Restorations to the 1893 mansion have been on-going since the Sioux City Public Museum moved to an expanded facility in downtown Sioux City in April 2011. The first event held at the mansion after renovations began was a wedding in spring 2011. Since then, open house events have been held on a near quarterly basis to showcase the progress of restoration efforts. The mansion serves as a venue for not only weddings, but also birthday parties, graduation receptions and company events. Built by local developer John Peirce, the home was purchased by the Junior League of Sioux City for $10,000 in 1958. After being donated to the City of Sioux City for use as a cultural building, it served as the site of the Sioux City Public Museum from 1961 to 2011. The Peirce Mansion is listed on the National Register of Historic Places. For more information, call the Sioux City Public Museum at 712-279-6174 or visit www.siouxcitymuseum.org. Join area business leaders in reaching out to local High School students. 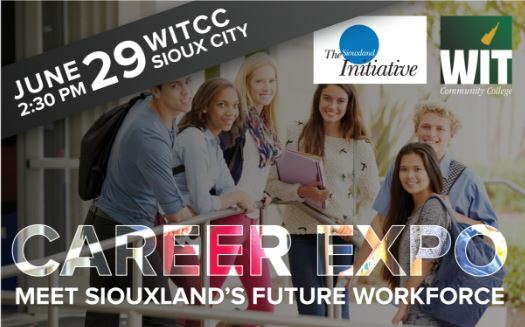 Help spark an interest in your field of exptertise by exposing Siouxland’s future workforce to different occupations and career pathways through demonstrations and interactive activities. We are looking for representatives and trainers to partner with us and help bolster both Siouxland’s students and businesses. RSVP by Monday, June 20. Don’t miss out on this great opportunity! Please RSVP to Jim Bergenske by June 20. Make connections at the Ju ne Rush Hour Connect and celebrate with TravelPlus, TLC on their recent relocation to 714 Main Street. This location houses their office and fleet of trolleys, limousines, and coaches. They are proud to bring life to an empty building with a quality business and be part of the extensive urban revitalization taking place along Wesley Parkway, preserving a bit of Sioux City history. 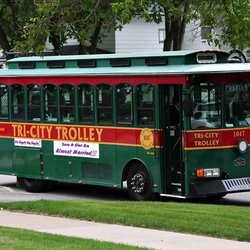 In fact, much of what TravelPlus TLC does involves their trolleys which have played a big part in the history of our community. Themed tours highlight Sioux City’s celebrities, historical landmarks, spiritual highlights, spooky ghost stories, gamblers run, and Christmas lights. There’s even a “Kramer Reality Tour” a spin-off from Seinfeld. With a variety of unique and interesting vehicles available TravelPlus TLC can meet your business travel needs, such as convention, corporate tours, or airport transportation, and your personal travel needs for weddings, proms, birthdays, and bachelor or bachelorette parties. 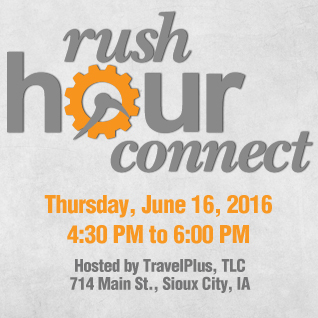 So stop in for Rush Hour Connect, June 16th between 4:30 and 6:00 PM at 714 Main Street and see all TravelPlus TLC has to offer and make some great business connections. In general, we are a destination management firm. We provide customized travel options for individuals, groups, businesses and events. With our corporate name we use the call letters TravelPlus TLC which stands for “Tender Loving Care!” But also “Trolleys; Limos; Coaches”. We service a variety of individual events ranging from Weddings, Quinceneras, Bachelor/Bachelorette Parties, Proms, Homecomings, Birthdays, Retirements, Kids Korner, Gamblers Run and much more. On the more business oriented side, we do labor transportation, airport transportation, convention transportation, concert transportation, and V.I.P transportation. We provide services for a variety of events like Christmas parties and corporate promotional events. We do tours, celebrity tours, history tours, Kramer Reality tours, corporate tours, ghost bus tours and Christmas light tours. We work with various groups and organizations, Sioux City Convention Center, Downtown Partners, Tyson Events Center, Hard Rock Hotel & Casino – Sioux City, South Sioux City Development Office, Sioux City Musketeers, Sioux City Explorers, Rivercade, and Boys and Girls Clubs of Siouxland. We provide specialty transportation working with various hotels and the Sioux City Convention & Visitors Bureau and more. We have located our business in a quasi downtown location, filling a building with a quality enterprise. We feel we can make our best contribution from such a location. We are cognizant of what we call the Sioux City culture and history and want to be a contributor in this regard as well. Much of what we do involves our trolleys and of course the trolley has played a big part in the history of our community. The Sioux City Explorers invite you to take an “X-TENDED LUNCH BREAK” on Wednesday, June 8th. 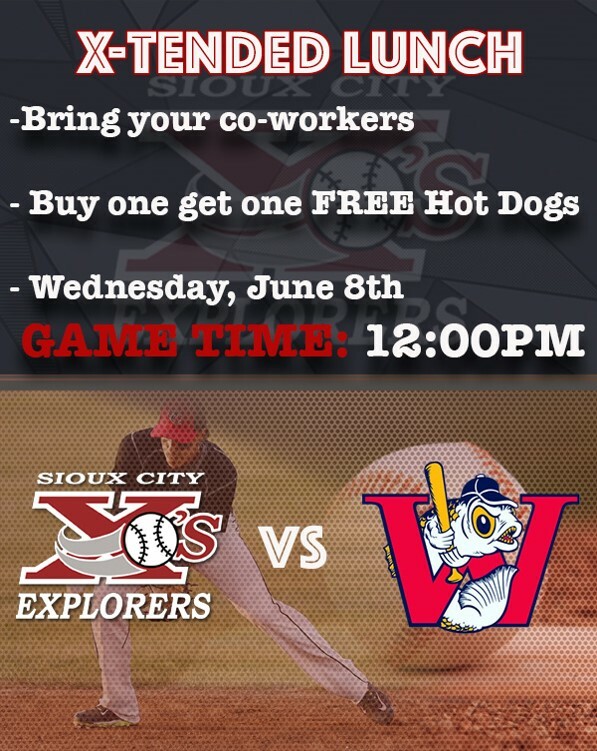 The X’s take on the Winnipeg Goldeyes for a special Noon game and would like you to join us. It is also Wiener Wednesday at Mercy Field at Lewis and Clark Park — you can buy one hot dog and get one free. Explorers baseball and hot dogs…What a great way to spend your lunch hour! Visit www.xsbaseball.com to get your tickets now and learn more about your hometown Sioux City Explorers. 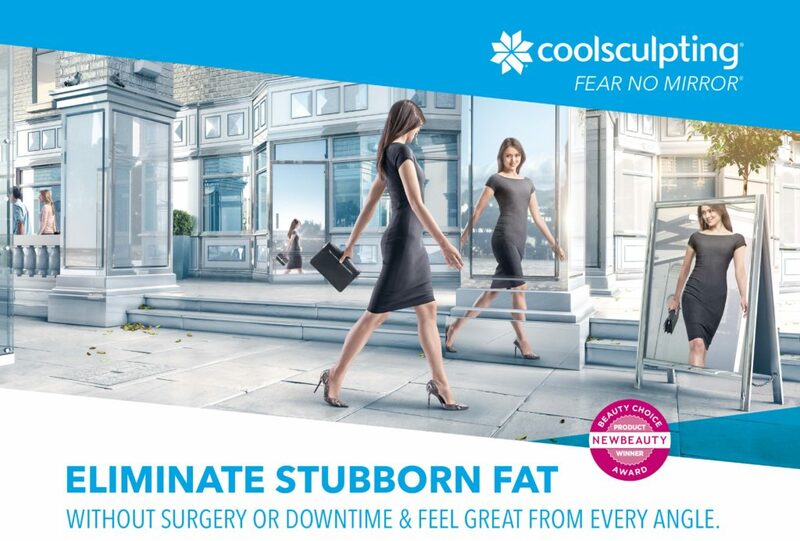 Join Curves-South Sioux City for Mother/Daughter Day 2016 at 1101 Dakota Avenue in South Sioux City, Nebraska on May 21st from 9:00 AM to 11:00 AM. This day is for the girls. The Siouxland Industrial Roundtable held it’s Spring meeting today with Guest Speaker, William A.
Strauss. 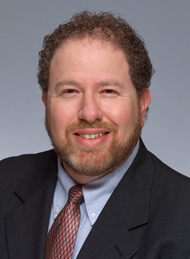 Mr. Strauss is a senior economist and economic advisor in the economic research department at the Federal Reserve Bank of Chicago, which he joined in 1992. His chief responsibilities include analyzing the current performance of both the Midwest economy and the manufacturing sector for use in monetary policy. He organizes the Bank’s Economic Outlook Symposium and Automotive Outlook Symposium. In addition, he conducts industrial and manufacturing roundtables throughout the year. If you would like to view Mr. Strauss’ Economic Outlook presentation from today’s event click on the link below. Camp Goodwill online registration is open. Camp Goodwill offers a week-long, overnight camp for children between the ages of 8 and 12. At Camp Goodwill, kids will find an opportunity to be a kid and have fun! Programming at Camp Goodwill incorporates STEAM (Science, Technology, Engineering, Arts and Math) and career exploration in a variety of fields thanks to curriculum provided in partnership with Iowa State University, University of Nebraska Lincoln Extension and many other public and private partners. A week of camp costs $150 per camper, with discounts and scholarships available to families. Visit Goodwill’s website at www.goodwillgreatplains.org for online registration. Families can also stop by our Connection Center (inside our store) at 3100 West 4th Street, Sioux City, IA for registration assistance. Payments can be made online or in-person. For questions please call Camp Goodwill at 402-494-4872 or our Connection Center at 712-224-1390.